In an harmonious landscape of cultivated land and woods, inserted in the greenery of the Appennino Tosco-Romagnolo, on the side of the old way that connects Florence to Ravenna crossing Faenza, The farm holiday Pedrósola offers an holiday in a green and harmonious landscape just near the river Lamone and only 13 km away from the medieval village of Brisighella. 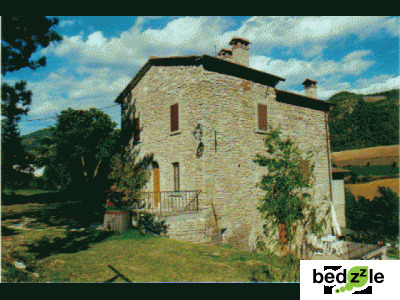 Agriturismo Pedrosola, a stone house with the characteristic shape of a turret, built around the years 1200 and renovated in 2000, offers 3/4 rooms with bath (maximum 8/13 persons) and 1 miniapartment (5 persons). 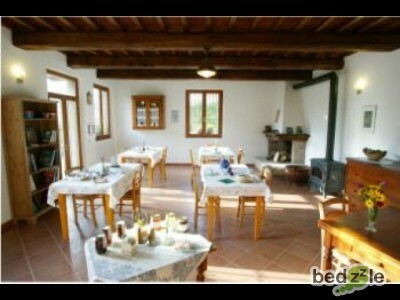 The rooms, particularly well-kept, have ceilings with wood rafters ad antique style furniture. 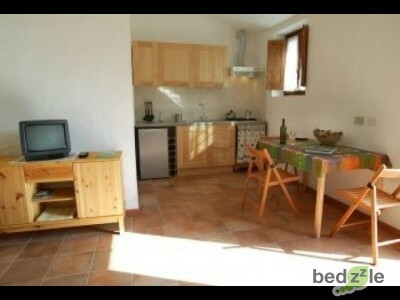 They are situated on the first floor, with independent entry and with a view over the valley. From the windows one can see a beautiful view over the valley, with vineyards, woods and cultivated lands that overlook the river. Countryside, Courtyard, Fantastic sunset, Farmland, Forest, Garden/park, Mountain, Prairie, River, Vineyards. All age groups, Couples, Couples with baby, Family. Agricultural, Ancient, Calm, Characteristic, Country setting, Grape region, Historical, Mountainy, Natural, Peaceful, Picturesque, Pleasant, Quiet, Rural, Rustic, Serene, Suitable for a relaxing break, Tranquil.